Hula Hooping Mom: Find All Your Sesame Street Friends Now on Hopster! Find All Your Sesame Street Friends Now on Hopster! Sunny days sweepin’ the clouds away! It’s easier now than ever to visit your Sesame Street friends Elmo, Abby Cadabby, Burt and Ernie with Hopster. 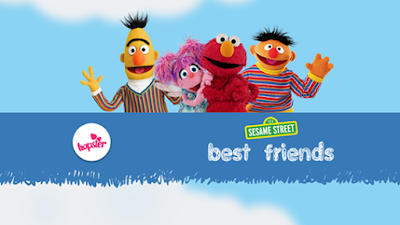 Hopster, the preschool learning and entertainment app, is now teaming up with Sesame Workshop to bring the longest-running American children’s television series Sesame Street to Hopster’s line-up. The collaboration brings Sesame Street segments that supports Hopster’s mission of helping kids learn through the shows they love.